In the middle of Trowbridge's bustling town centre, The Kings Arms offers good food, friendly hubbub and a full bar, stocked with good ales. Once nicknamed The Dustbowl, We bought The Kings Arms in 2010. It was shut-down, decrepit on the outside, dank and dirty on the inside. But it still had character. A painful 6-month process of sympathetic renovation restored and revived it to the public house it is today - roomy, airy, welcoming, with the added bonus of a beer garden. With a landlord who takes a personal interest in the grape and his plate, you'll find a carefully picked wine list and food cooked with quality ingredients; there are many home-made dishes on the menu like duck, fajitas and fish pie, alongside pub favourites such as pies, burgers and steak. There is also a large selection of 'light bites'. We also do good coffee. 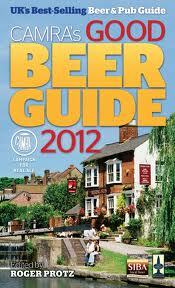 The Kings Arms won Wiltshire Pub of the Year in 2011 and featured in the 2012 Good Beer Guide. TROWBRIDGE PUB RE-OPENS ITS DOORS. *children aren't allowed in unaccompanied... This is the landlord's son, wondering if daddy will ever finish work! In his talk to the Friends of the Trowbridge Museum in November 2010, Ken Rogers gave a fascinating account of the pubs of Trowbridge. One of the longest established is the Kings Arms in Castle Street (this part of the road was formerly known as Court Street). There has been an inn on this sit since 1769 and possibly long before that. In the late 1700s and the earlier part of the 19th century it was called The Scribbling Horse. A scribbling horse was a bench-like structure set with iron teeth at the head end, which the operator straddled while coarsely carding wool fibres. Trade directories for 1793-98, 1822 and 1830 all use the name but by 1842 it had become The Kings Arms. Possibly the renaming commemorated the accession of William IV in 1830. During the nearly 50 years referred to above, the proprietors were all called Cox – E, J, Mary and J S respectively. For many years the pub was colloquially, and affectionately, known as the Dust Hole and many of us remember it as a town centre favourite. Earlier this year it was refurbished and reopened. Mike Lefever, the new owner, has a track record in reviving pubs in other parts of the West Country and he certainly seems to be doing a good job here. The interior is light and airy yet seems perfectly in character with the historic nature of the building. The real ales, ciders and coffees are excellent and the menu carried to suit a range of tastes. Much of the food is locally sourced and we and our friends have been so far very pleased with our visits. Mike’s aim is to run a pub where those of all ages and all walks of life can mix and feel comfortable. 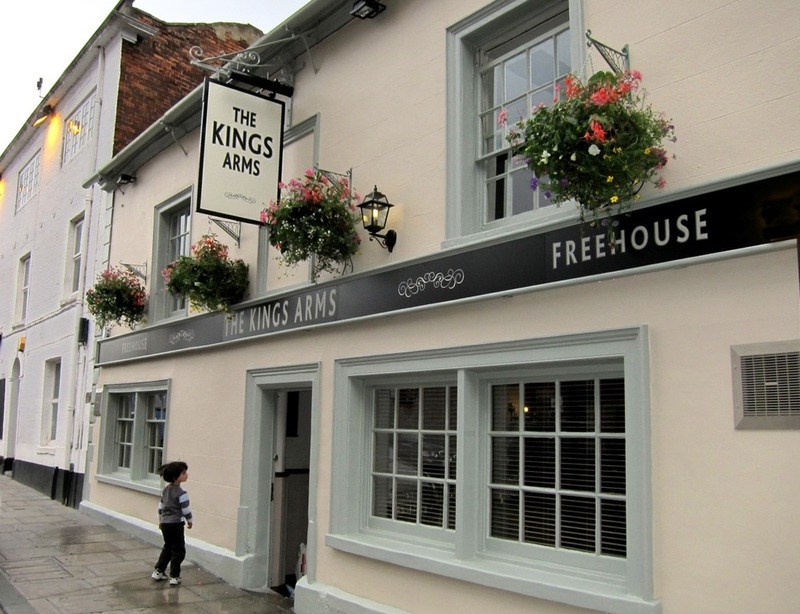 The reopening of The Kings Arms represents a significant improvement to the town centre pub scene and deserves support. For those who don’t venture out at night, give it a try for coffee or lunch.